Most automakers tack on delivery cost to the Manufacturer’s Suggested Retail Price (MSRP) of new vehicles to cover transportation, handling, and freight charges of new models. For example, Chevrolet charges a $720 destination charge while Cadillac tacks on $825 for a destination freight charge. 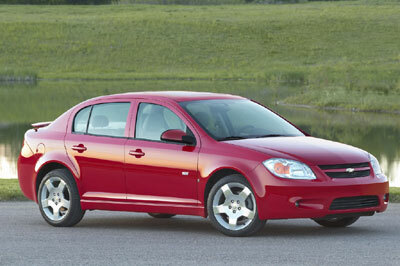 But Chevrolet had no idea that one Minnesota mother, Amanda McBride, would consider this a worthwhile expense. McBride gave birth to her third son while driving her 2005 Chevy Cobalt. The baby’s father was riding shot gun, unable to drive because of a seizure-related condition. After the birth, he steered Amanda and their newborn child to the hospital. To congratulate the couple, General Motors is giving the family baby supplies, including (but not limited to) a year’s supply of diapers, two car seats, and a stroller! As such, driving a Cobalt has never been so enjoyable! Perhaps Chevrolet’s Margaret Brooks said it best when when she said that “We knew the Cobalt was designed to deliver its occupants safely, but never did we expect a delivery quite like this.” I think we all can agree that this car should get more credit than just being the baby’s first ride home from the hospital.